Today’s guest on The Lively Show was nominated by you! After a string of tweets all asking me to have Jessica Merchant of the popular food blog, How Sweet Eats, on the show, I knew that I needed to make it happen. 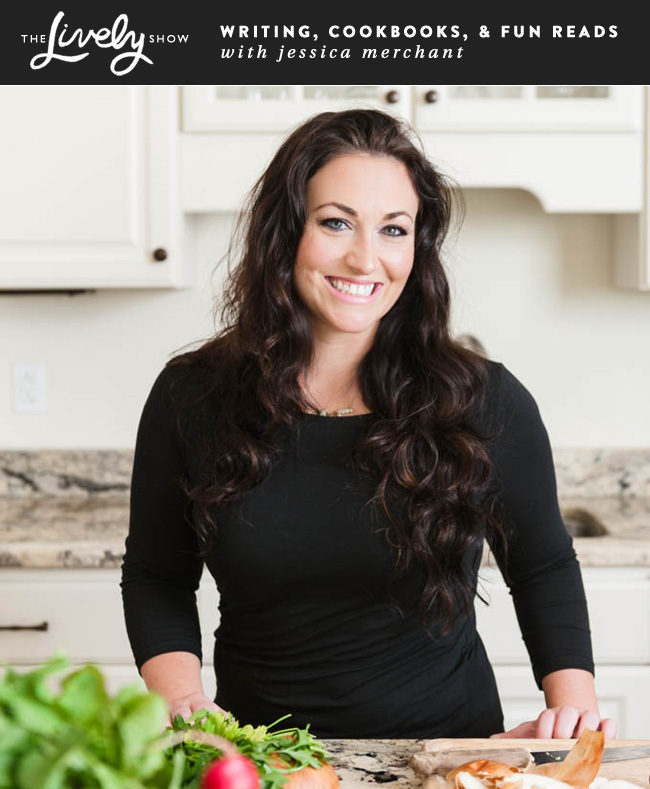 Thankfully, Jessica made time in her schedule to chat with me about her pregnancy, upcoming cookbook, blog story, favorite books, and must-watch TV shows. This episode is fun and light (with a bunch of great advice for bloggers). In the show, you’ll see how authentic, fun, and hard working Jessica really is. This show is perfect for fans of fun reads, writing, or who are interested in blogging full-time. How Jessica became a full-time blogger. The blog income method that she used to go full-time and still relies on (hint: it’s not sponsored content). Jessica’s advice for those juggling a day job and their dream job. What writing a cookbook has been like for Jessica. The next chapter Jessica would like to have in her career. Jessica’s fave “chick lit” and non-fiction authors. Jessica’s pregnancy experience so far. What Jessica would tell someone just starting out on this journey. PS – Are you interested in joining the upcoming Life with Intention Online class? If so, get on this list for special bonuses!